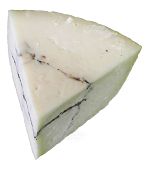 Pecorino Sardo is a traditional cylindrical, semi-cooked hard cheese. It takes eight to 12 months to mature, during which time it develops its characteristic flavour - salty, with a fruity tang that becomes steadily more robust. Pecorino cheeses can be a good substitute to Parmesan, although sharper in flavour. Made with pasteurised ewes milk. This cheese isripened for 5-8 months before being slowly infused with black truffles (3%). 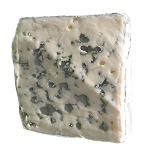 This follows the veins and slowly spreads throughout the cheese to give a rich delicate flavour. Made with pasteurised ewes milk.